We are now an Australia-wide company so we look after every Australian. 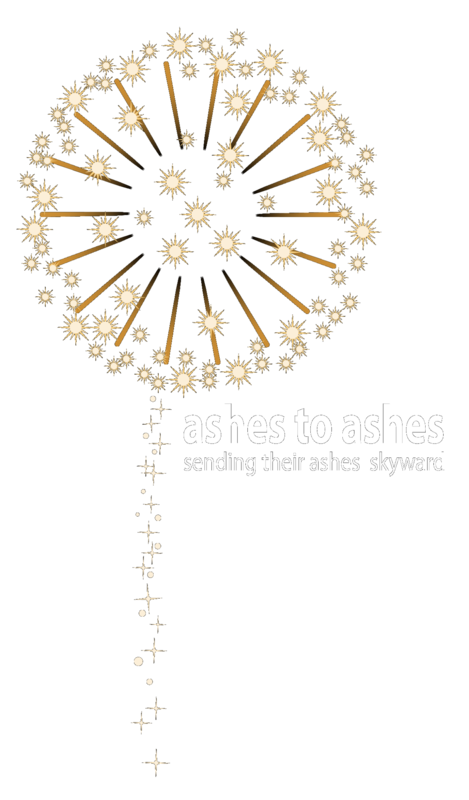 Ashes To Ashes offers a unique yet personal way to commemorate the loss of a loved one by scattering their cremated ashes high into the sky by way of a beautiful and spectacular fireworks display . An unforgettable moment of reflection, never forgotten, as sadness and grief are replaced by wonderment and celebration, as the journey towards closure begins. After we lose a loved one, I think it is important to LOVE, LAUGH AND LIVE LIFE AGAIN.